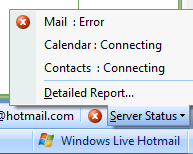 Hotmail service still working under Outlook 2007/2010? Since Microsoft bought Hotmail.com, Hotmail.com can also provide services other than e-mail have been added, such as calendar, contact, task and etc. 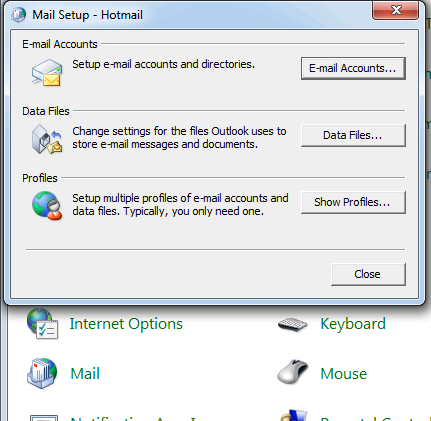 With Hotmail Connector for Outlook or third-party Outlook add-in, such as EVO Collaborator for Outlook, users could have accessed their Hotmail account data within Outlook 2007. After Office 365 merged Hotmail.com and Outlook.com into a single service infrastructure based on Exchange Online, Microsoft claims that Outlook 2007 could no longer access it because of the retirement of RPC over HTTP protocol, even with Hotmail Connector. 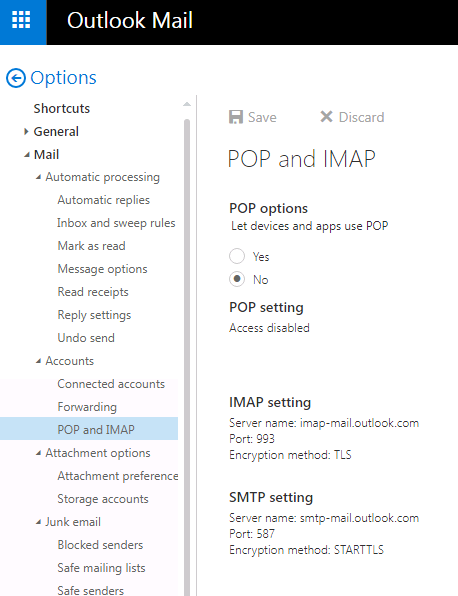 Only the mail part can still be accessed via SMTP/POP3/IMAP. Quit Outlook and open Control Panel and Mail. Then, click on Show Profiles…. 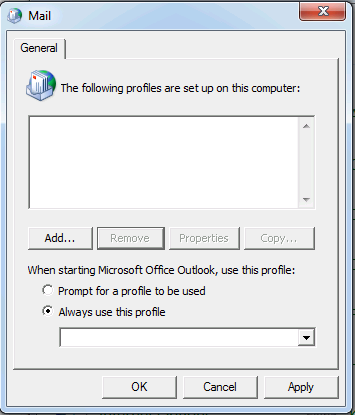 Click Remove button to delete existing Outlook profile and click on Add button to create a new Outlook profile. 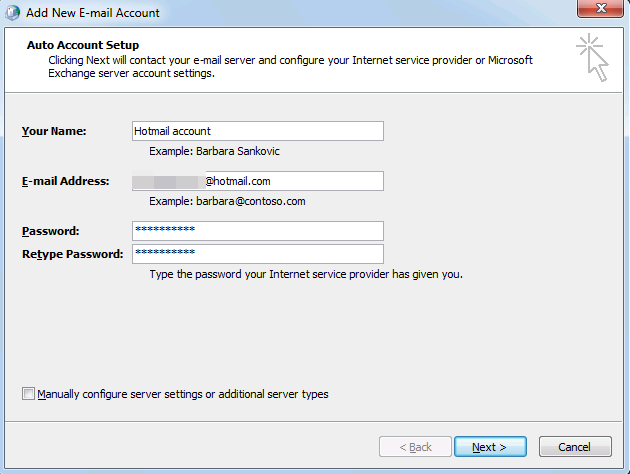 Enter Hotmail full e-mail address and password. Then, click on Next to continue. 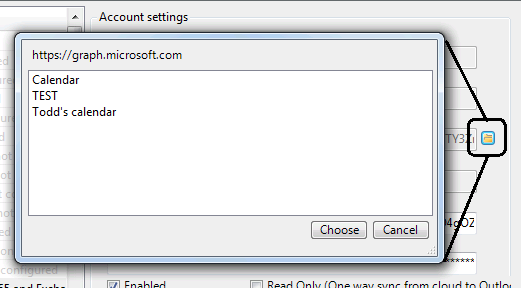 After seconds, Hotmail account is successfully added. 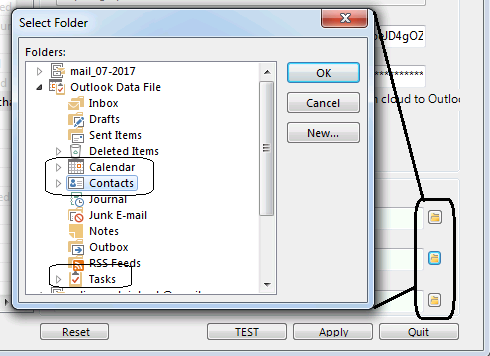 Mail, calendar, contact and task synchronizationsare working properly. How about Hotmail Connector users? 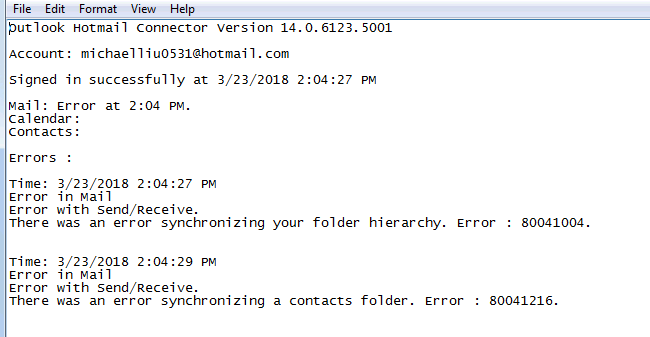 The mail sync has error and calendar/contact keep on contacting. When you open up Detailed Report…, there shows errors. 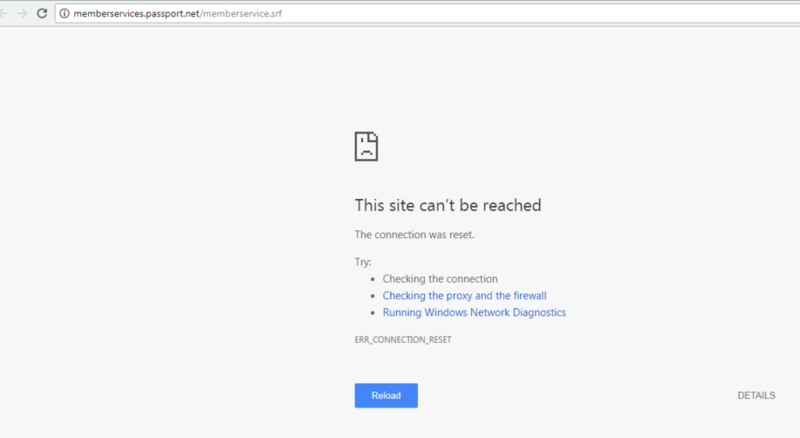 When we click on Mail Options and Account Services under Settings, http error page pops up. I suppose that Hotmail Connector is trying to reach pages where RPC over HTTP mode was still available. There is really nothing you can do about it. 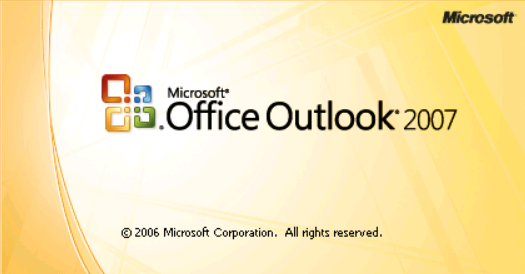 Theoretically, after Office 365 merging Outlook.com and Hotmail.com accounts, the native Exchange connection we mentioned earlier should solve issues of using Hotmail account under Outlook 2007 with Hotmail Connector for Outlook. However, there are situations where users just cannot establish such connections due to unknown causes, which may be they cannot patch to the newest Office 2007 update or whatever reason there is. Download and install EVO Collaborator for Outlook. 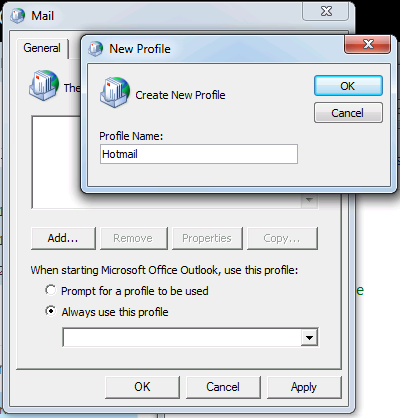 Click on Configure Profile(s) button at left to configure your Hotmail/Outlook.com in Outlook.com, Office365 and Exchange profile. 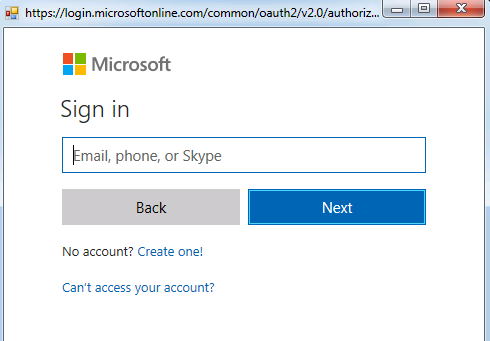 Complete OAuth authentication in popup window. Select your Calendar/Task folder if necessary. Select folders under Sync option if needed. Click on Apply to save settings and click on Quit. Then, synchronization will start. 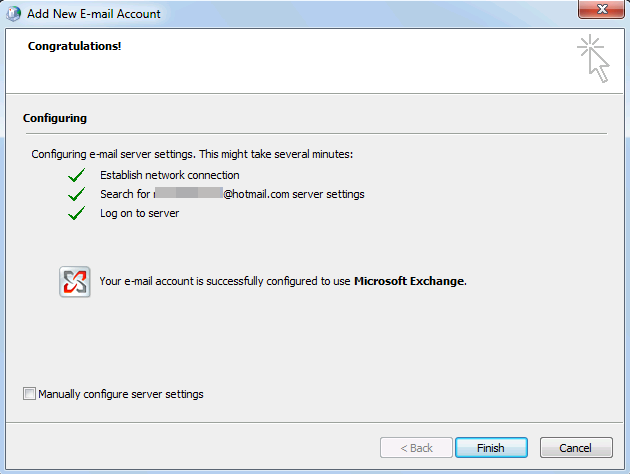 Though it is a simple add-in tool, this alternative other than mnative Exchange connection enables you to access and sync your Hotmail contact/calendar/task inline with your mobile devices additionally to sending/receiving your mail via SMTP/IMAP/POP3. Thus, you can greatly enahnce your productivity in daily running business. Previous postHow to send Auto BCC emails in Outlook 2016/2013/2010?